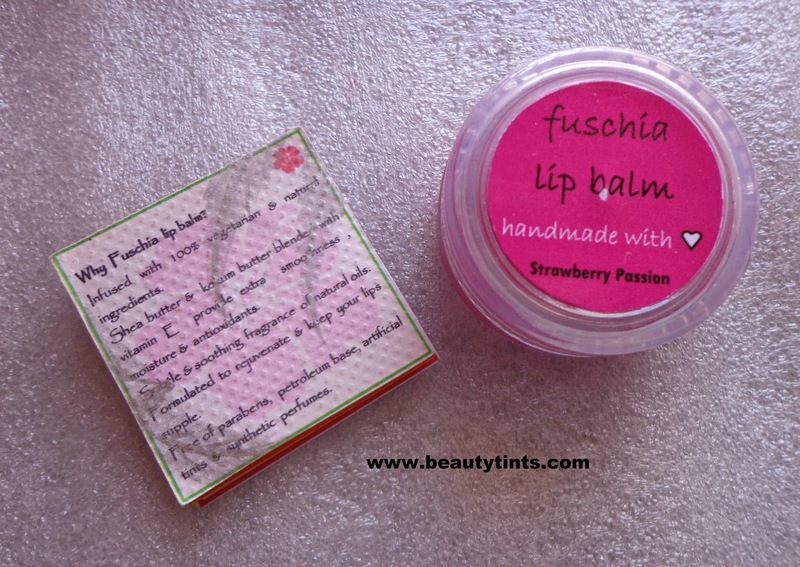 Today I am reviewing Vkare Fuschia Handmade Lip Balm Strawberry Passion,which is my current favorite lip balm and have been using it from past 2 weeks.It smells amazing of strawberry puree and love to sniff it all the time.I have already did a first impressions post for this.You can check it out here. 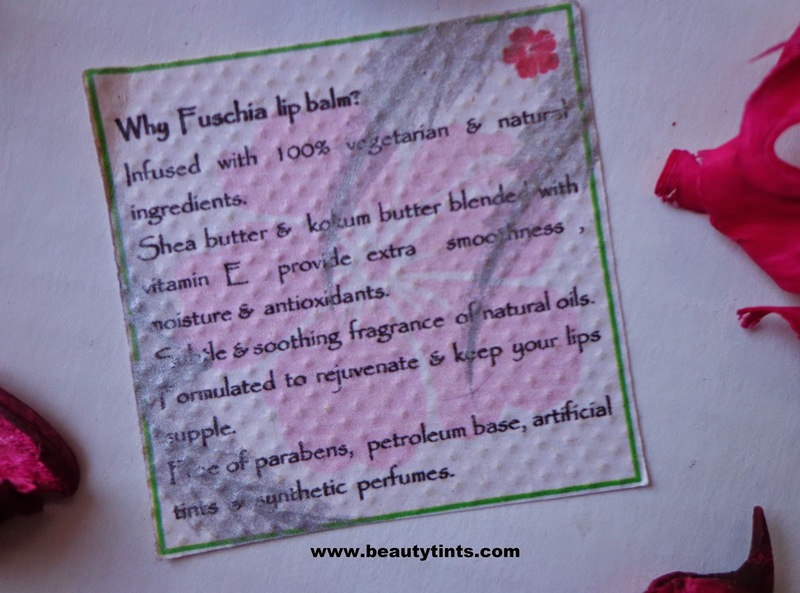 About Fuschia : Fuschia is range of Handmade Natural Beauty by Vkare. Currently there are 38 variants of soaps, 7 variants of Lip Balms,day creamwith SPF 15,Anti-ageing Night Cream,exfoliating body and face scrub available under this brand. 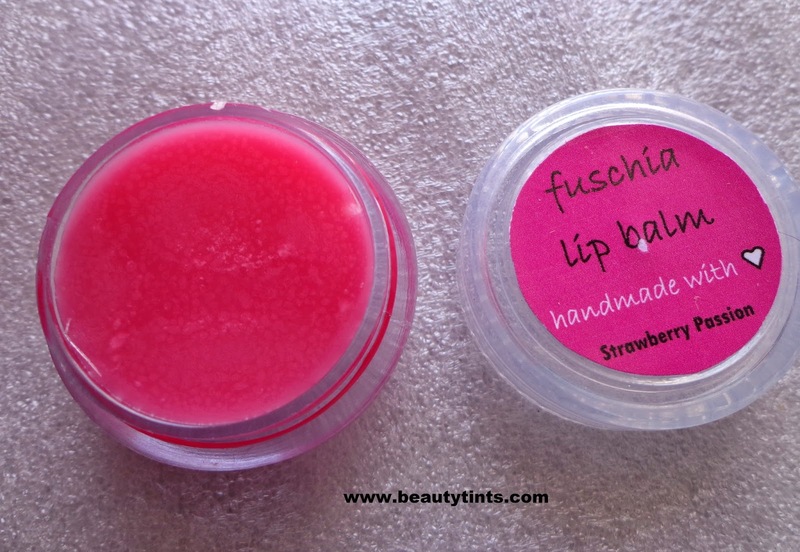 For more details about Fuschia...... You can check out their face book page as well as their a Website. 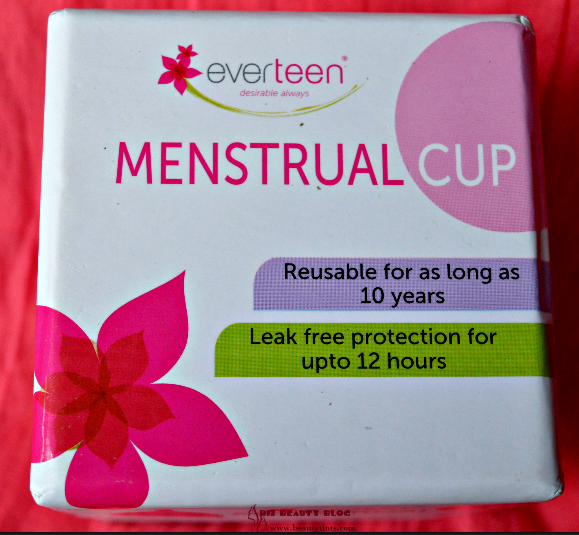 Packaging : It comes in a cute tub packaging with a transparent screw cap.All the details about the price,ingredients etc., are listed on a separate labels which comes along with the tub. 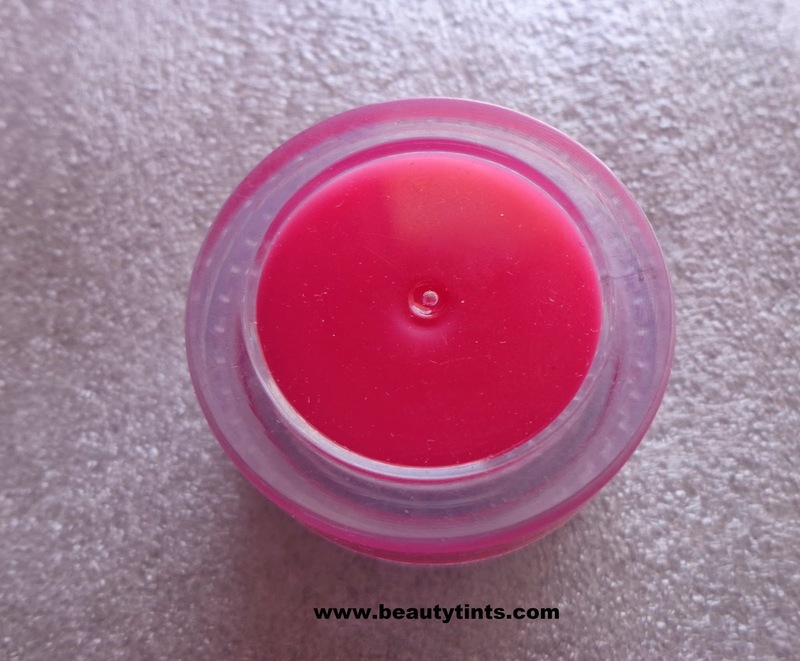 Color and Texture : This is a smooth lip balm with a very light pink colored tint. 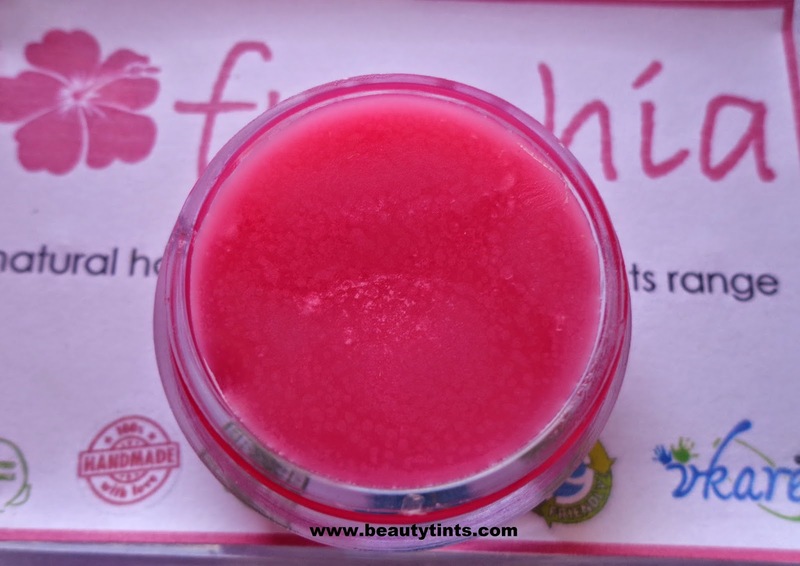 What the product Claims : Delightfully portable & refreshing hydration for lips and body. These little jars are like your best friends - you can take them anywhere, and they'll never let you down! 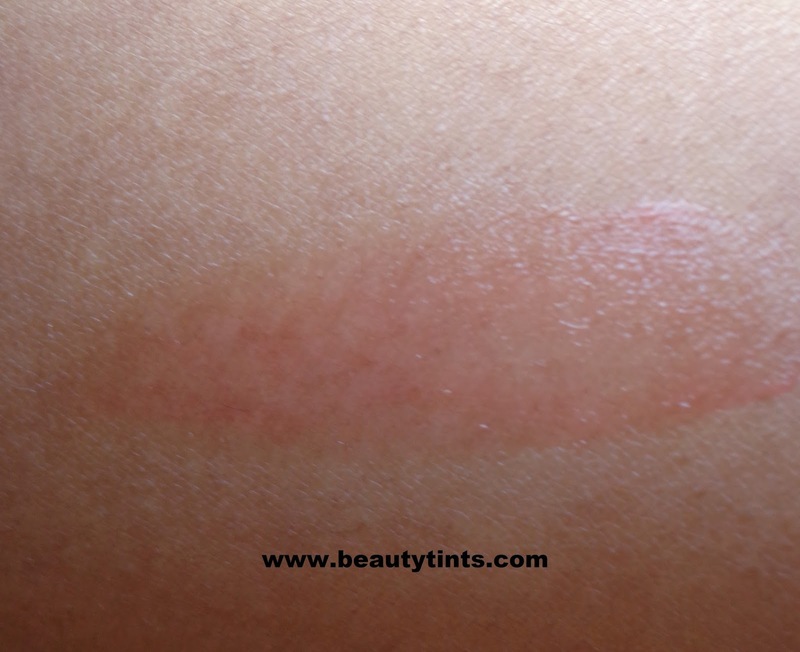 Perfect in a pinch for cuticles or elbows, or anywhere dry skin patches may appear. And of course, they keep your healthy lips smiling! Directions : Apply to lips any time to moisturize & protect. Can be used anywhere on the body, anytime. Availability : Available in few online stores.You can buy it from Vkare website here. 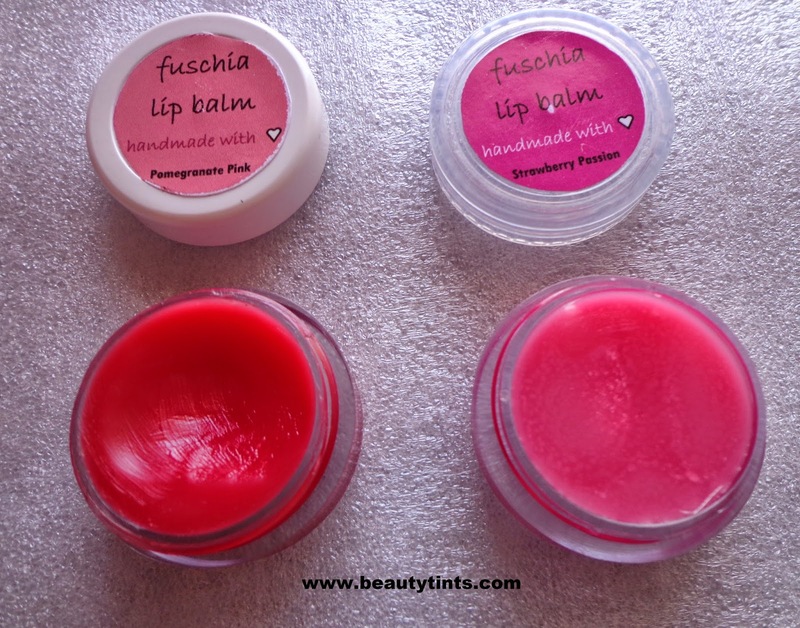 Fuschia Lip Balms are available in other variants like Plush Peach,Choco Butter,Tropical Alphonso,Black Currant,Pomegranate pink and caramel. 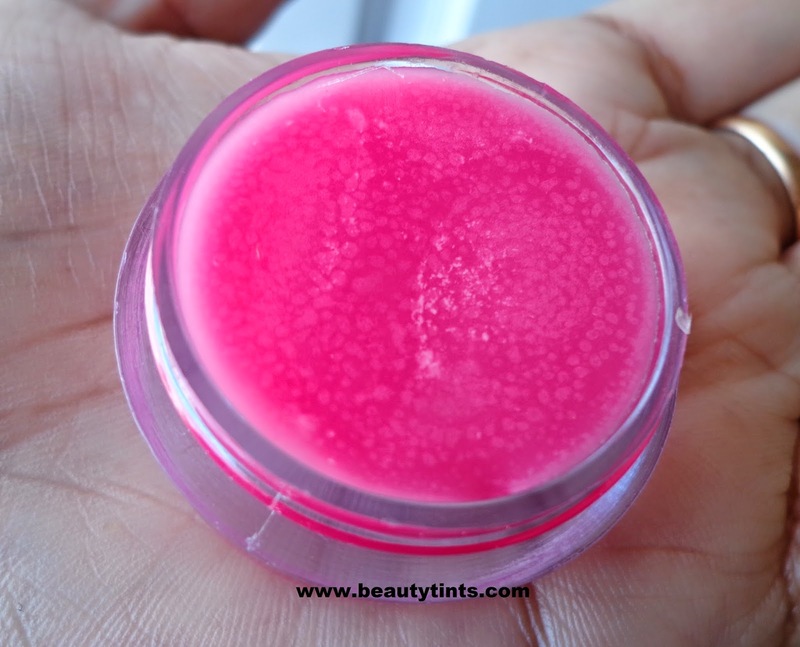 My View On the Product :This lip balm comes in a cute little jar packaging and is light pink colored balm which glides easily on the lips.It moisturizes the lips well for more than 2 hours and make them look fuller and plump when used overnight.It has a yummy fragrance of strawberry,which is just Amazing!! 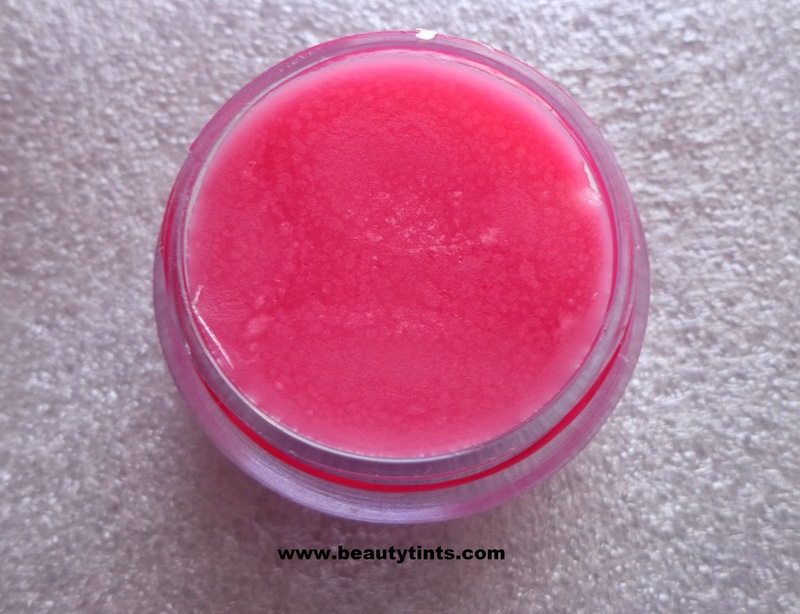 !It gives a light pink tint to the lips, which looks very natural.It is very effective in healing chapped lips and cracked lips.It is very light on the lips yet super moisturizing.It does not form a heavy or sticky layer on the lips.It acts as a good base under lipsticks.A little goes a long way and it does not melt at room temperature.so, one tub easily lasts for almost 2-3 months,which makes it affordable. 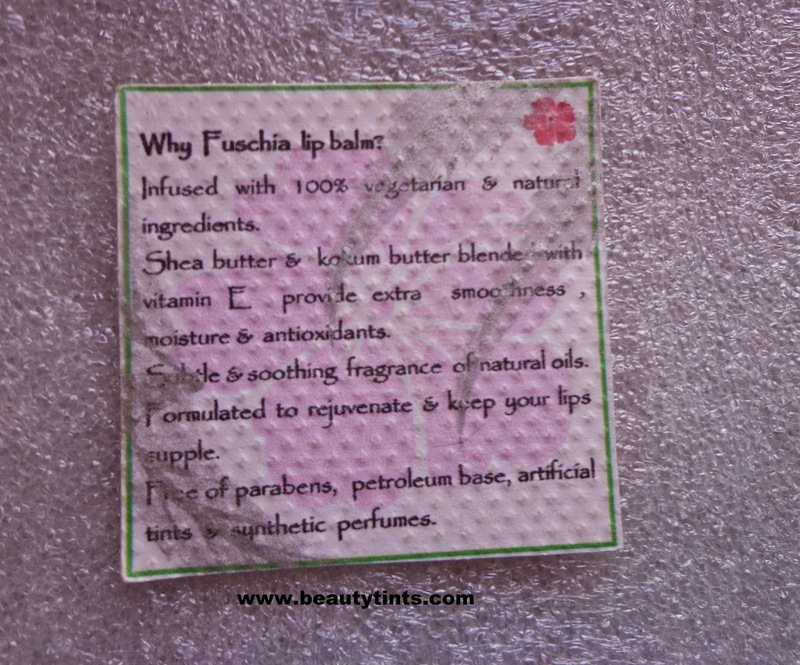 It contains the goodness of multiple oils like olive,castor,sesame,sunflower,grapeseed oil along with shea butter and Vitamin E.The tub is travel friendly but you need to dip your fingers every time and needs to be sanitized well before dipping,which is a bit un- comfortable during journey.The best thing with this lip balm is that it can be applied in any part of the body besides lips. 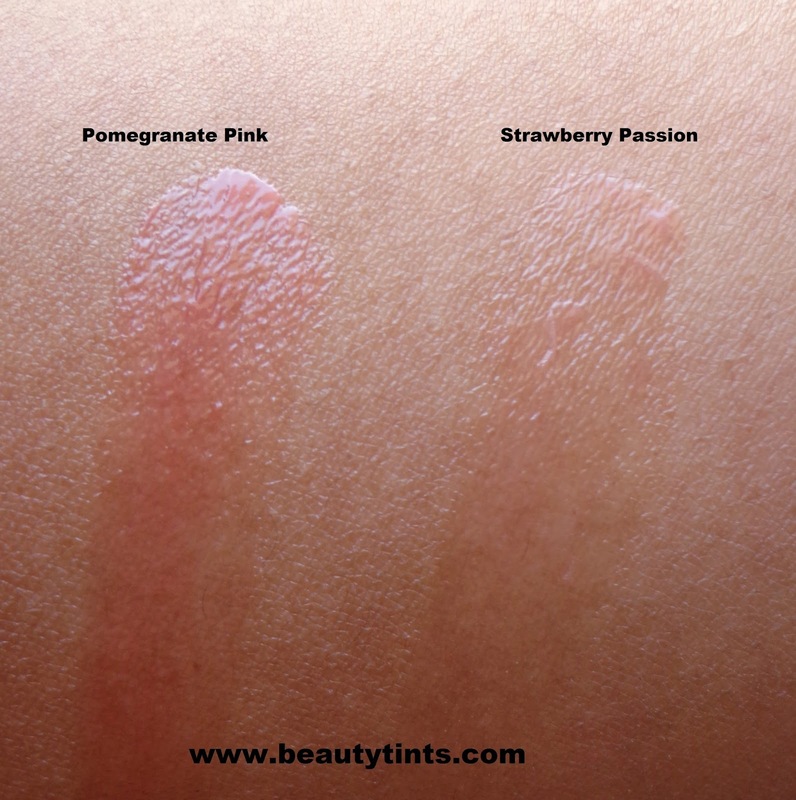 I have already reviewed Pomegranate Pink before,which is one of my super favorite lip balms.You can see the review here.You can check out the difference in the tint of the pomegranate and this Strawberry passion variants in the below picture. 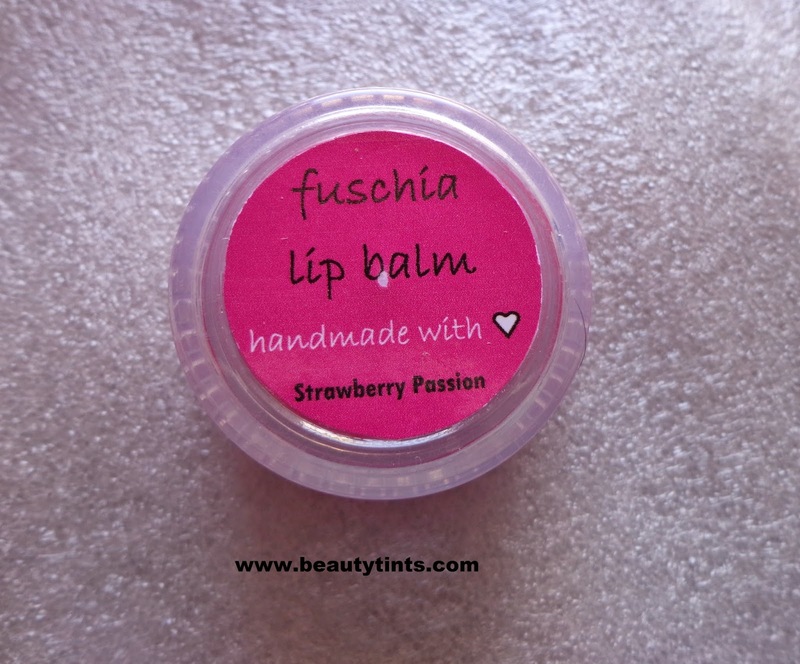 Final Conclusion about Fuschia Lip Balm In Strawberry Passion: Overall a decent lip balm with a light pink tint,a good choice for daily use which helps in keeping lips well hydrated and helps in preventing chapping of lips. Also check out the reviews of Fuschia Activated charcoal soap ,Mystic blend and Bentonite clay here. 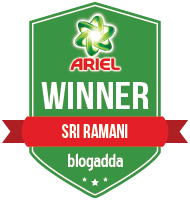 Last 2 days to participate in the New Year Giveaway...Not yet participated? Then you can do it here. *PR Sample : How ever it did not effect my opinion. 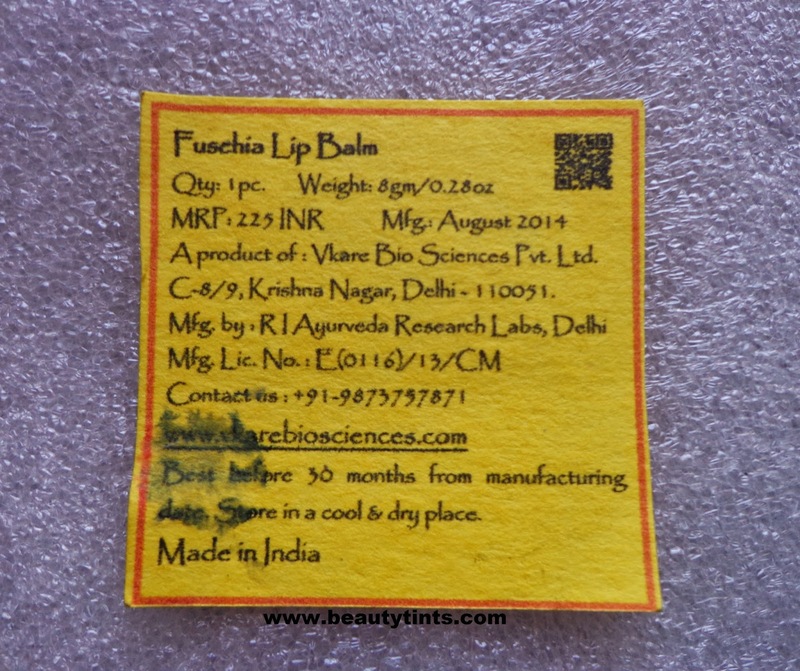 Labels: fuschia lip balm, natural lip balm, organic lip balm, strawberry lip balm, strawberry passion lip balm, vkare, Vkare Fuschia Handmade Lip Balm Strawberry Passion Review, vkare fuschia lip balms.